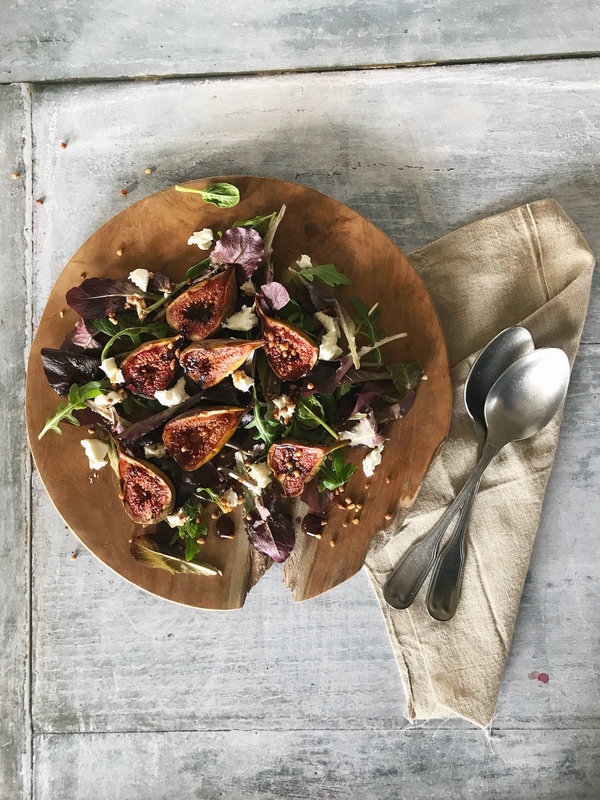 This fig and goats cheese salad sounds like a summer salad, but the warmth of the figs and the sweetness of the ingredients makes this a great one to serve alongside a heartier meal, or as a starter. Cinnamon is an unexpected flavour in this dressing and adds that extra kick to the taste! Such an easy recipe that makes your kitchen smell delicious as the figs bake. Wash the figs and slice them in half. Place them onto a baking tray, sprinkle with brown sugar then drizzle the honey and balsamic glaze. Sprinkle a generous amount of cinnamon on top. Place into the oven and cook for 30 minutes. For the dressing, mix all the ingredients together in a bowl. Scatter the leaves onto a serving plate or into a salad bowl. Layer the figs on top and crumble the goats cheese over, using your hands. Dress the salad and add salt and pepper to taste. Finish off with a handful of chopped hazelnuts. 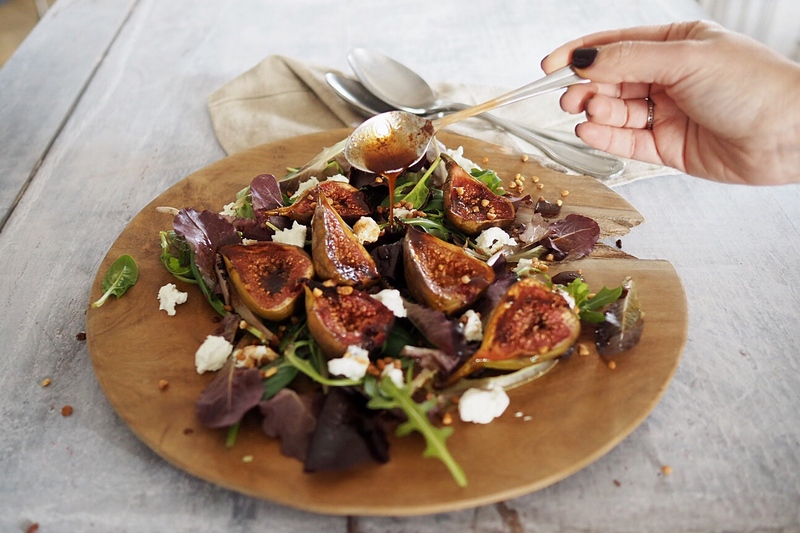 Let me know if you make this fig and goats cheese salad and what you think as I absolutely love it. It works really well with my easy one-pot lemon chicken and potatoes recipe.